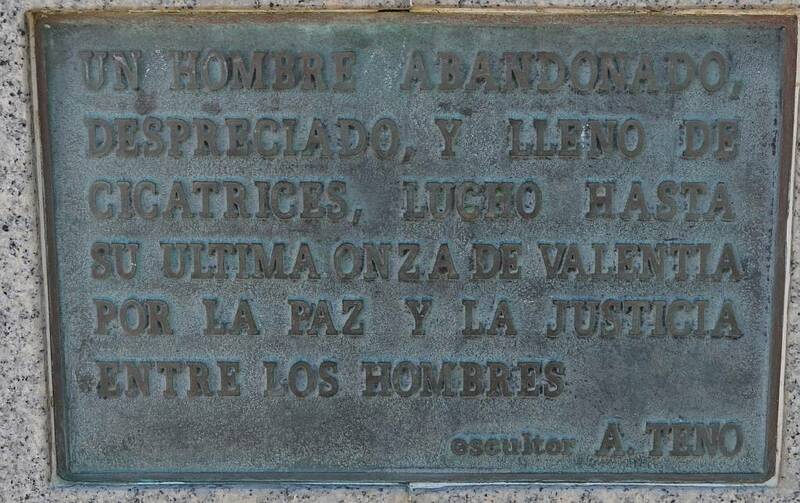 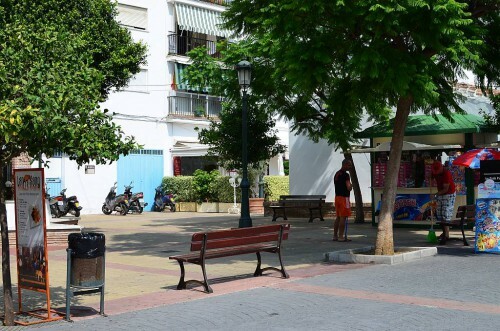 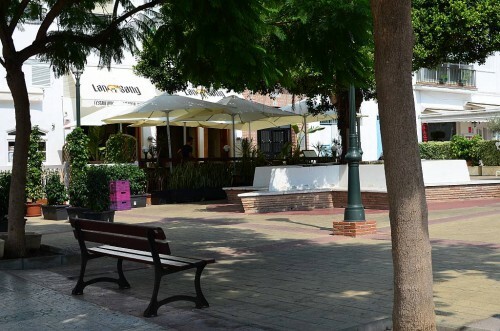 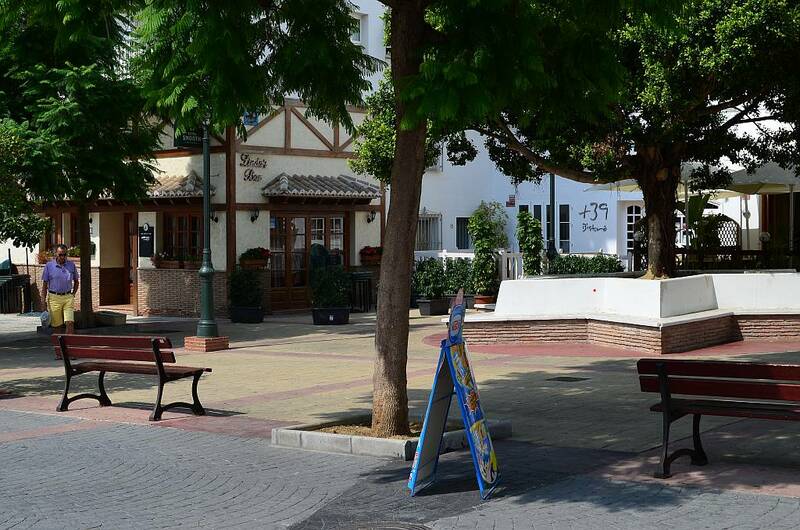 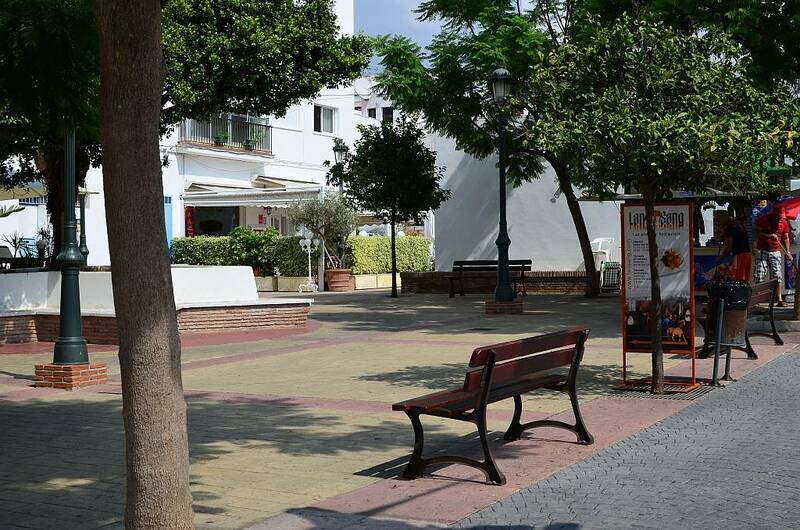 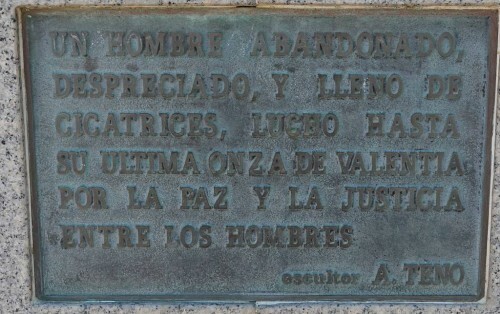 Plaza 4 Caminos, located at the top end of calle Málaga in Nerja, is another of those squares not actually signalled by means of sign boards, usually ceramic tiles. 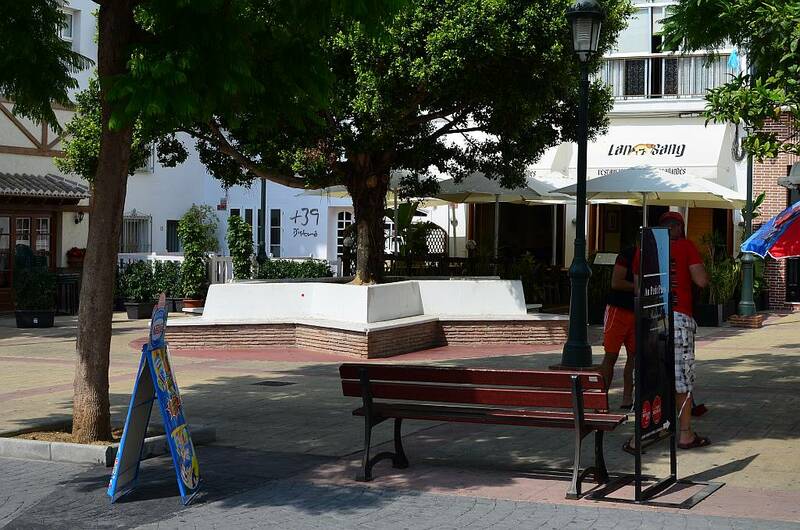 In the square itself you will find Linda's Bar and the restaurants Au Peit Paris (French), Lan Sang (Laotian/Thai)and +39 Bistro (Italian). 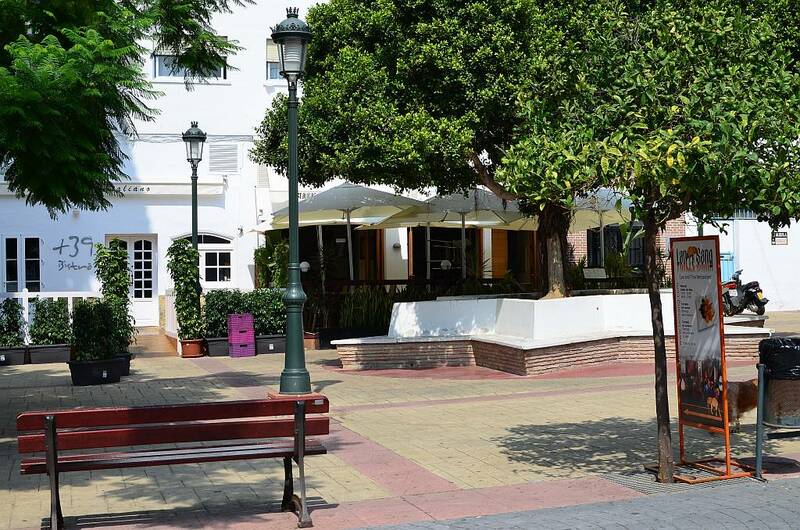 There are several others just down the road from the square ( Vicente, Meson Asador de Castilla, Malibu, Rosi's, José y Victoria, Stephan's) and the Balcón de Europa is only a couple of minutes away. 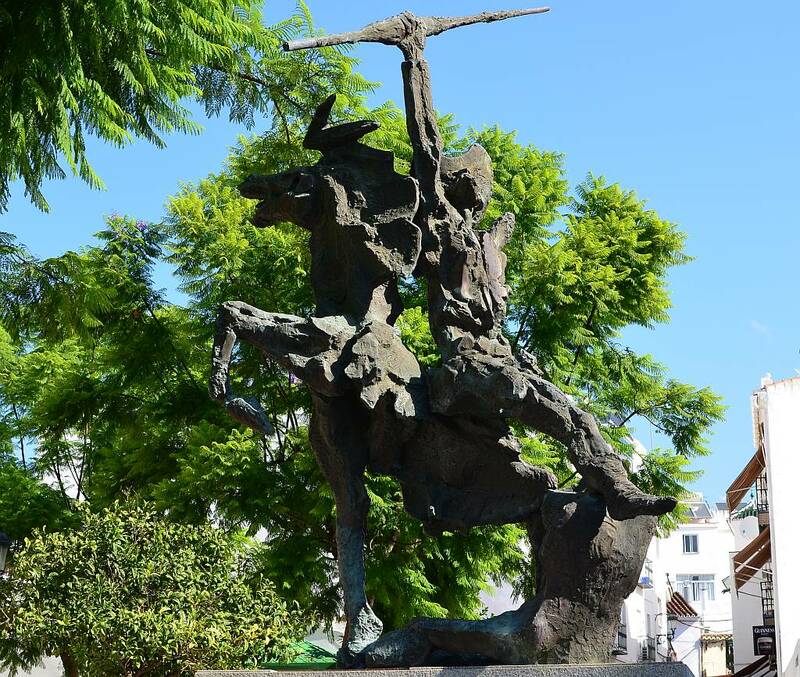 In the square is a sculpture by the Córdoban sculptor Aurelio Teno, the figure having a very catchy title.